Deya’s needlework comprises coasters, place mats, pouches, table runners and other tableware items. Batik textile fabrics are used in the manufacturing of these products at our own facilities in Central Java and Jakarta. As the products are handmade in their batik motifs and stitches, each of them is infused with a unique and different character. A variety of techniques, such as embroidery, quilting, patchwork, and ikat, and materials such as cotton, linen and silk are used by Deya in the creation of these unique and rear pieces. Deya's needlework items are delicate pieces that are made by hand. The products need special care to maintain the quality of the products, therefore, dry cleaning should be avoided at any cost. Please also note that the colours might fade slightly after first wash.
Other than batik, there are common methods and techniques of Deya's needlework products. The methods of our works are: patchwork, embroidery such as quilting, Shibori (tie and dye process) and ikat (stitch and dye process). We have been working with fabric for 20 years, providing proficient techniques from our designers which are passed on for generations. We work mainly with batik in our needlework products, a wax-resist dyeing process originated in Java, Indonesia. The process uses a spouted tool called canting to draw the patterns on the cloths with the wax. 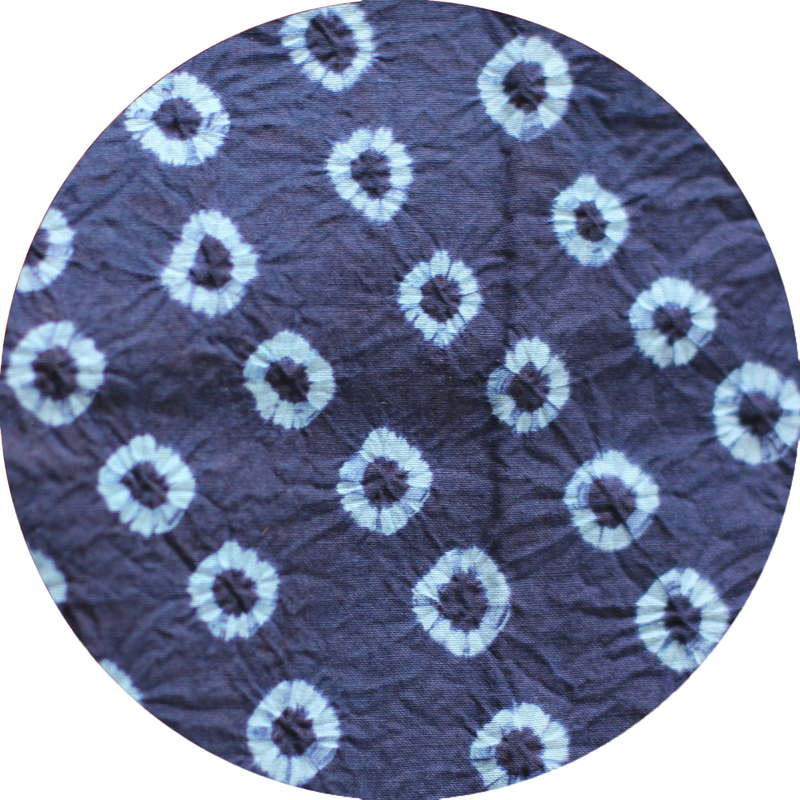 Another method of batik is using cap, a copper stamp to print the patterns on the cloths. Deya's square coasters come in variety of designs, using variety of techniques such as, patchwork, tritik, batik and shibori. These square coasters are available in striking colorways, designed for you match them with any of Deya's cups. 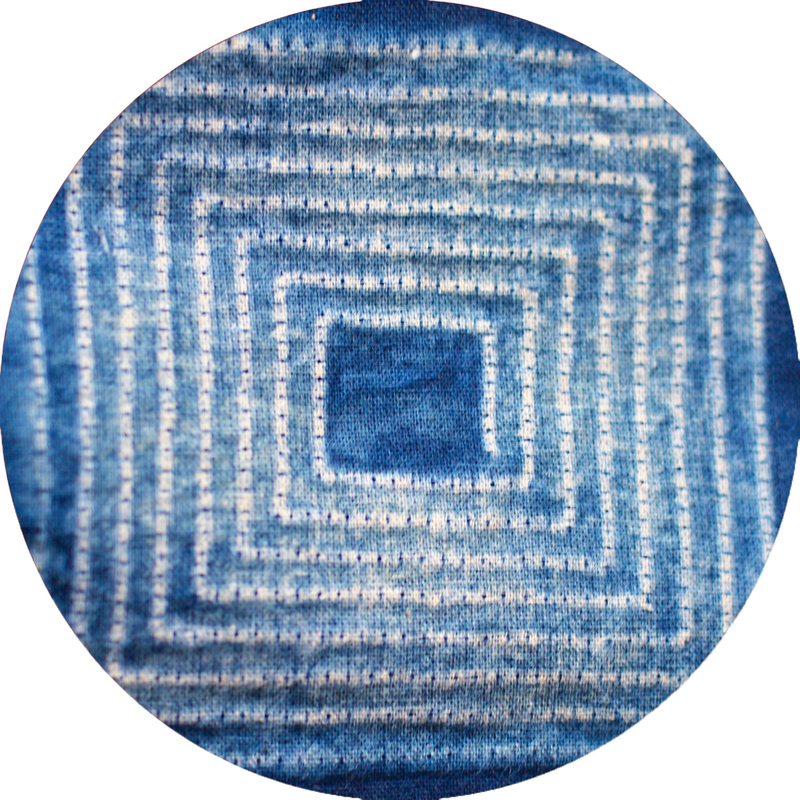 Deya's Kotak Coaster is made using stitch and dye technique on cotton. This collection is available in two different colours that will never be identical to one another. Deya's origami coasters comes in three designs. These coasters are also available in different batik patterns. 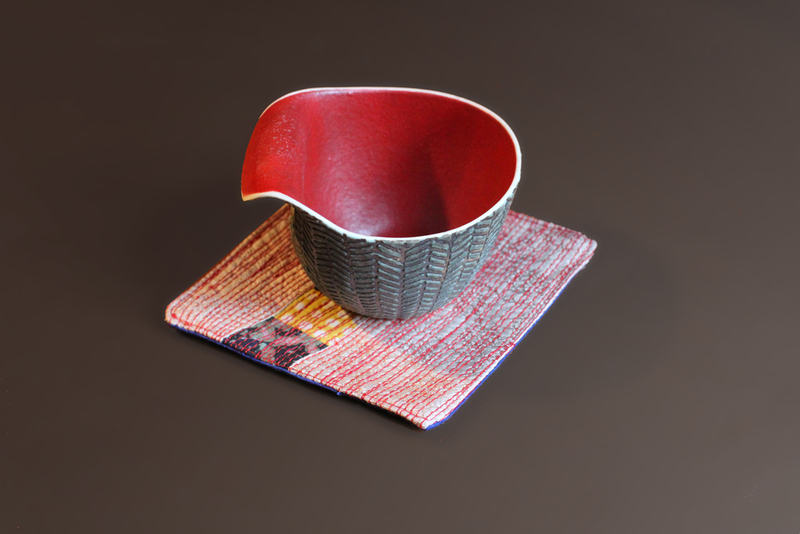 This collection provides an alternative to Deya's flat coasters. 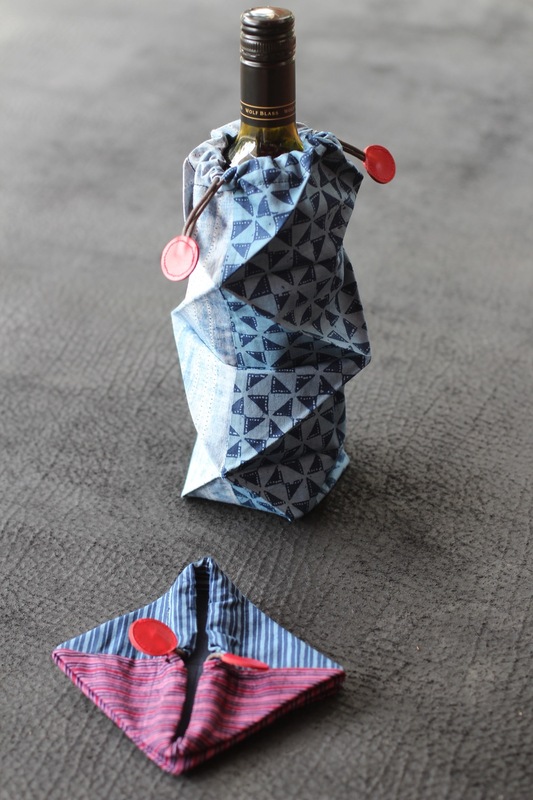 Inspired by the art of paper making - origami, Deya presents you with foldable Origami Wine Pouches. The pouch is available in different batik patterns using a variety of techniques such as; shibori and tritik. Not only that this pouch will make it easier for you to carry your wine with you, it is also a suitable gift for your loved ones. 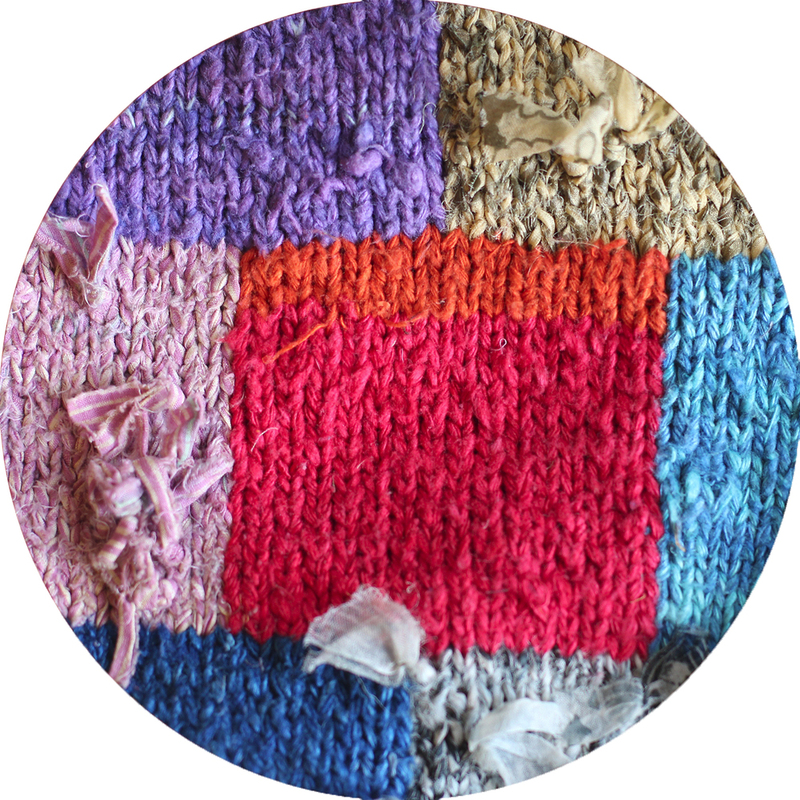 The process of stitch and dye were carefully handmade by our skilful artisans in Central Java. They are available in natural hues of blue. This Furoshiki-inspired bag is made using stitch and dye technique on cotton with accents of red leather. This table runner is made by tritik, a stitch and dye technique. A simple yet vibrant design to layer your dining table at home. Deya's patchwork table runner is made using our fabric remains that were stitch-dyed and batik-applied, which then made into a collage of colours. As they are handmade, each of them is never identical. 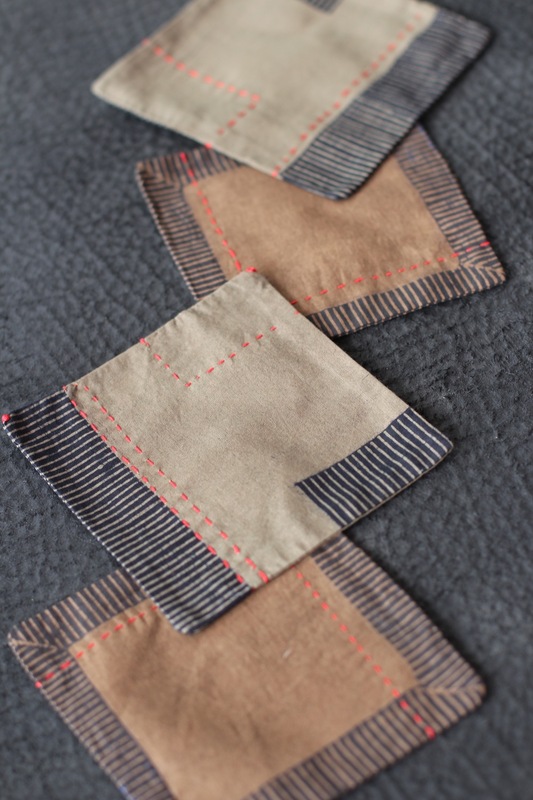 This running stitch placemat is combined with patchwork. We provide you with variety of color blocks, allowing for you to choose your preferred colors matching them with Deya's dinnerware. The vibrant accents of these placemats will bring a new experience to your dining.